I realise I was feeling a bit down yesterday, but hey using this medium to get it out there must be part of the cure. And some pretty cool advice came back, currently re visiting the to do list using triangles for bullet points, to be coloured in when task completed. Duplicates have been made, money has been moved around to spread the risk and the 4 new pin numbers for our travel money cards, which will be hell to learn, have been recorded discreetly. If I do forget, my son has been instructed as to where the paperwork is. I’ve even made copies of passports and laminated them and emailed a copy to myself, just in case. Transferring money today was quite stressful as I had to use a card reader, remember a PIN, enter another number in the card reader, which then generated another number to enter on the PC. The you get verified by visa asking your pass word……. Grrrr. To get me in the mood to do the mental work required, much of today has been spent finding the bedroom floor! All travel packing has been transferred to the spare room, what we don’t need has been put away, surfaces have been cleared and dusted. I even cleaned the windows. This, for someone who loathes housework, is a major achievement. The study has also been cleared, some filing cleared, some, ahem, put out of sight and Christmas presents put in a box to be sorted tomorrow. Next job, on the list is to return my library books. 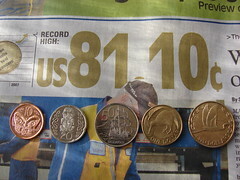 On the way I’ll pop to the Post Office in the hope they have USA and NZ dollars. Worst case scenario is to get them at the airport! Not well organised, but I have lost 10 days in the count down due to putting my head in the sand. 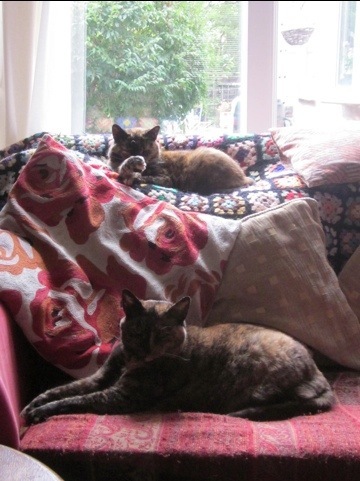 As I’m doing this on my iPad and still learning how, I have inserted a totally inappropriate (to the blog) photo, of my two cats Mel and Sue, which helped cheer me up yesterday! Must add to the to do list….learn about photo library on iPad! This entry was posted in Before we go on our travels, Community, De cluttering, Health and Wellbeing, Libraries, Travel and tagged Christmas, United States by Travelling Coral. Bookmark the permalink.